Trailer Park Video Games has created a series of visual identities for Warner Bros’ new video game Batman: Arkham City. 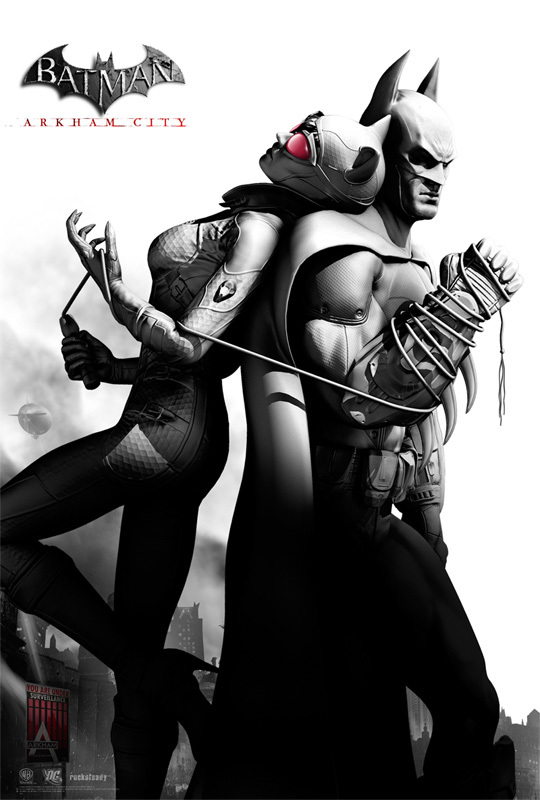 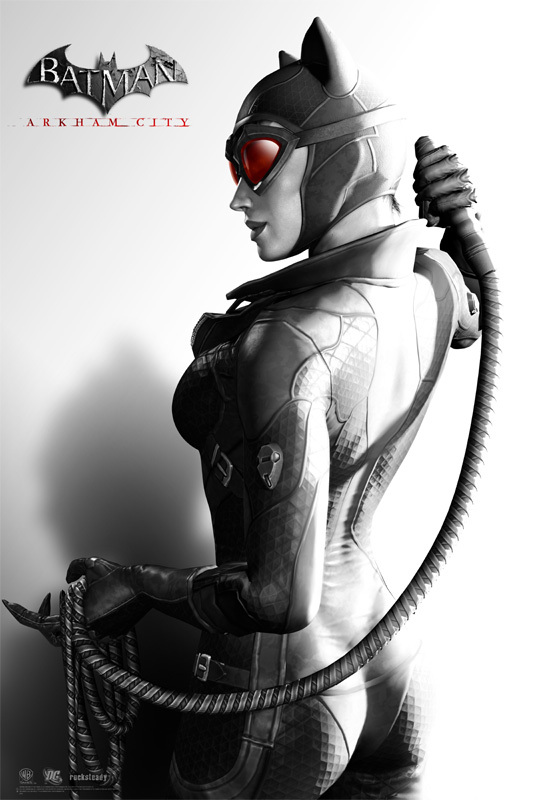 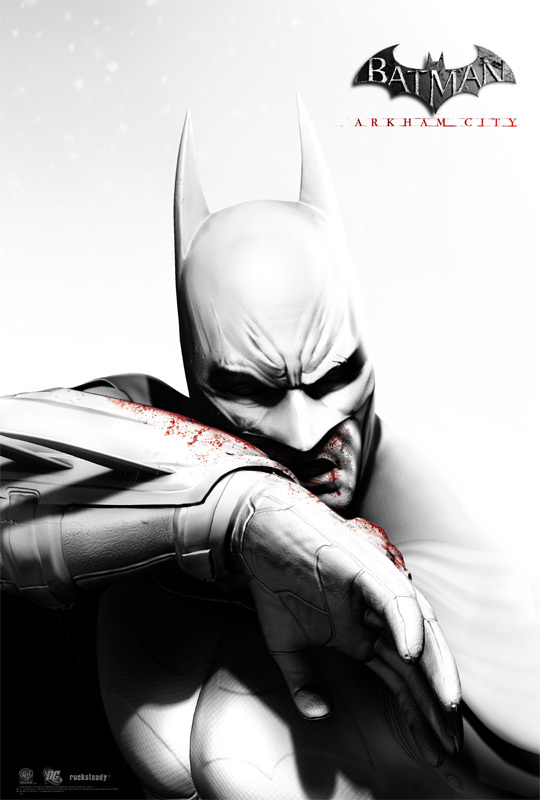 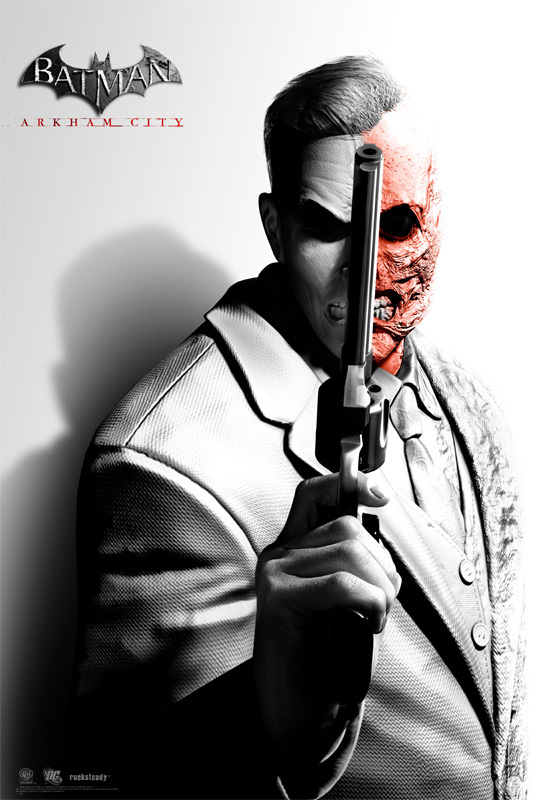 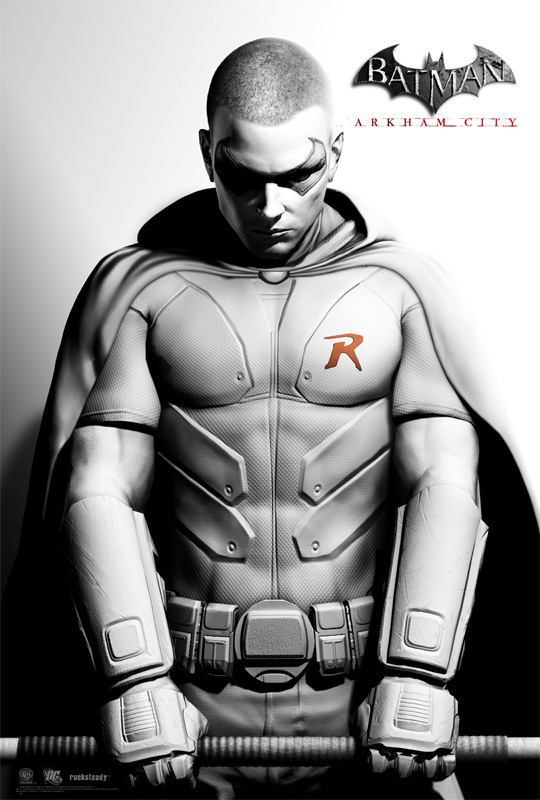 The images feature renders of Batman, Catwoman, the Joker, Two-Face and other characters in stylistic monochrome, with one colour in each image highlighting important features. 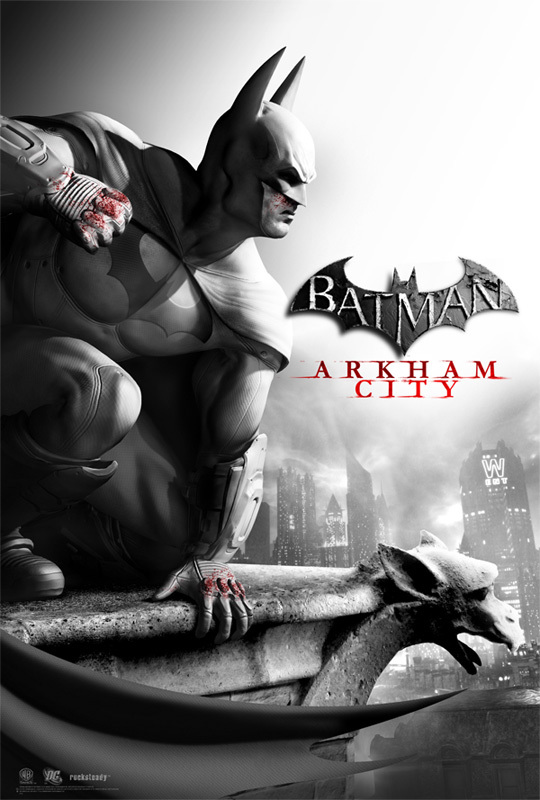 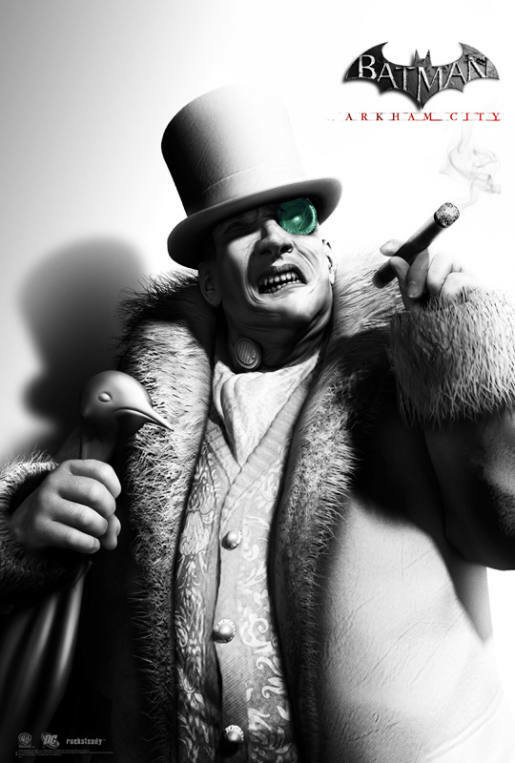 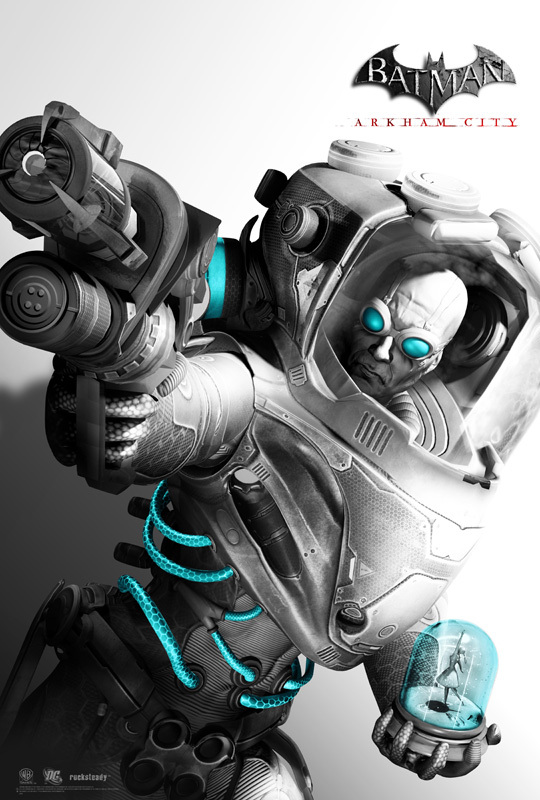 Batman: Arkham City is the sequel to the critically acclaimed 2009 adventure stealth video game, Batman: Arkham Asylum. 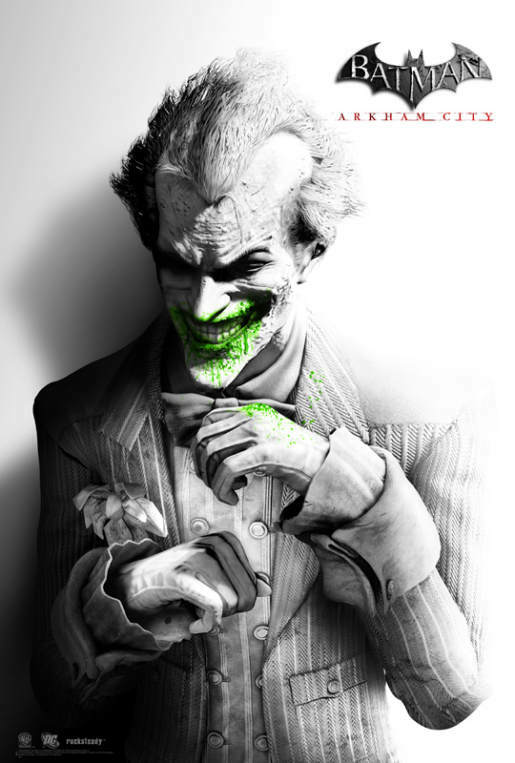 The first game was set inside the walls of the Elizabeth Arkham Asylum for the Criminally Insane, Gotham City’s psychiatric hospital, which housed many of Batman’s villains. 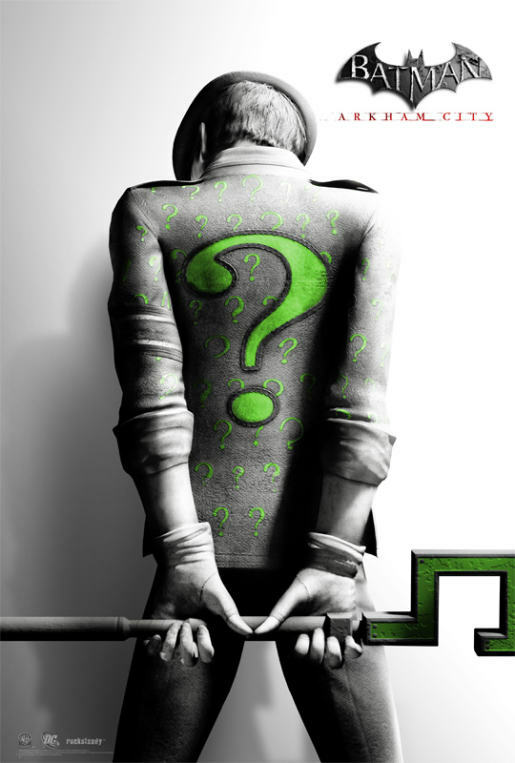 The new game continues the story in Arkham City, a section of Gotham which has been walled off and transformed into a large open-air prison. 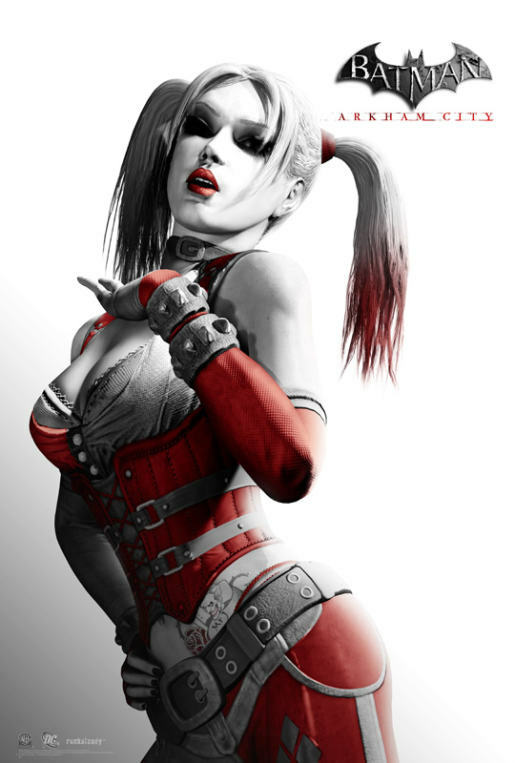 The images have been used for magazine covers, internet banners, trailers and more.